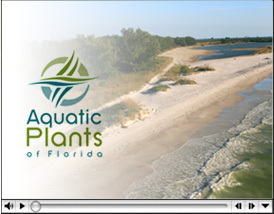 Since 1994, Aquatic Plants of Florida (APF) has provided wholesale customers in the Southeastern United States and the Caribbean with over 135 species of mitigation-quality plants. Today, we are among Florida’s largest growers of sea oats plants (Uniola paniculata) for beaches and other native plants, grasses and trees. Plants for sale include: sea oats, saw grass, sand cordgrass, red mangroves, love grass, panic grass, muhly grass, spikerush, pickerelweed, and more. Our inventory includes fresh water herbaceous and salt-tolerant plants, native grasses, shrubs, ferns, trees and wildflowers to restore, rebuild and replenish beach dunes, wetlands, marshes and retention ponds for environmental and beautification projects. Our experience extends from projects for private corporations, including Fortune 500 companies, to local, state and federal government initiatives encompassing large restoration sites involving thousands of acres.